Three hours of live music, with a country DJ spinning 45s between sets. Dance party to close out the night! The Tomales Town Hall is happy to present the third installment of the Rejuvenation Concert Series! Ticket sales for these shows benefit the upkeep and repair of the Hall. 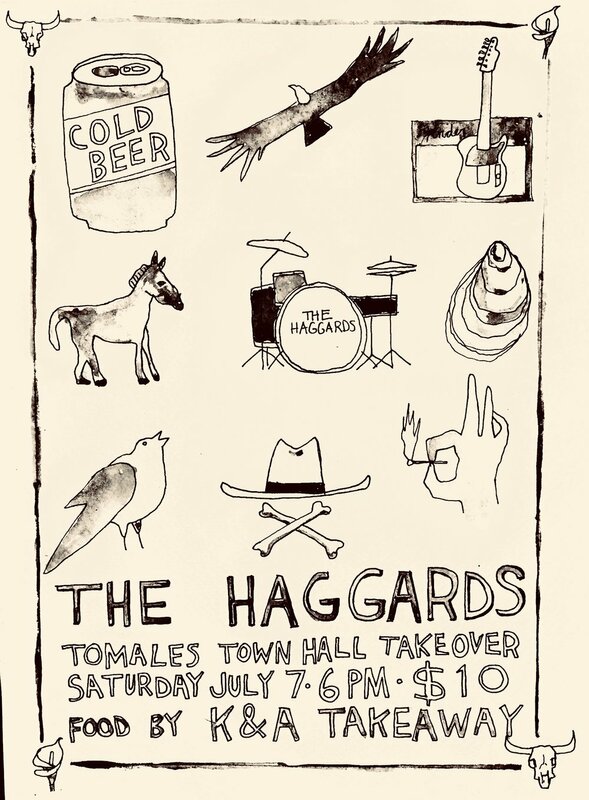 This summer we are excited to welcome The Haggards to Tomales. Food from K & A Takeaway will be available for purchase at the front of Town Hall, pie for dessert from the Tomales Bakery! Beer, wine & soft drinks for sale inside. Proceeds from the bar and ticket sales to benefit the Town Hall.